This is a post we've struggled to write. For the first time since its inception in 2008, Benchcrafted won't be at WIA this year. We've traveled all over the country to attend this event, but this year the WIA schedule simply proved to be too difficult to fit in for us. We're going to miss visiting with old and new customers alike, and spending time (always too limited) with our fellow hand-tool enthusiasts, which always proves to be enormously motivational and inspirational. 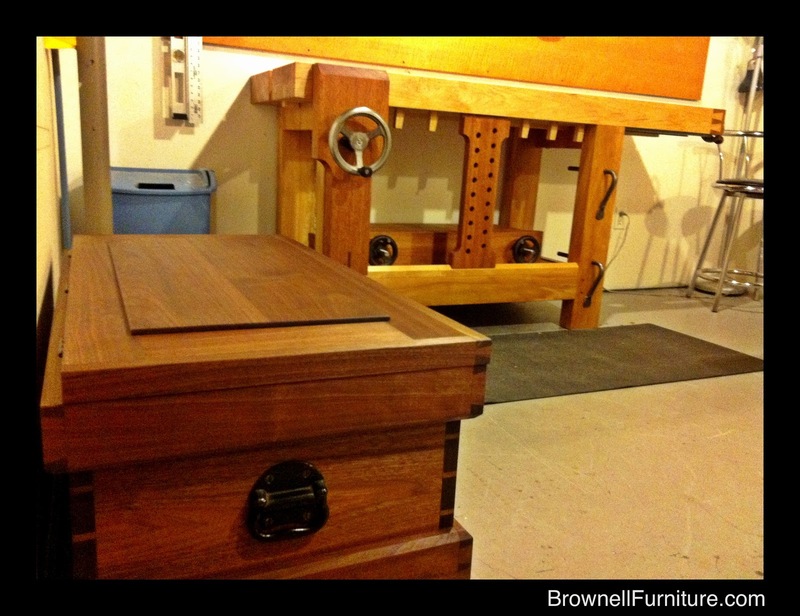 Coming home from WIA always has me personally itching to make furniture and new Benchcrafted products. The upside to us not attending is this. We're focusing on keeping vises in stock, and getting our newer products on the shelf quicker and more efficiently. We won't be entirely absent from WIA however. 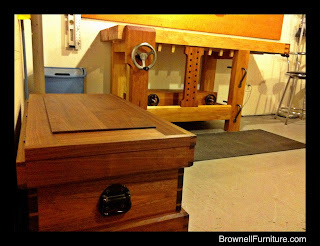 Our good friend Raney Nelson of Daed Toolworks asked us a few weeks ago if we had an extra demo bench we could spare for the show. Well, of course we did, since we won't be there. The bench we sent for the Daed Toolworks booth features our new handwheels on both the tail vise and Glide leg vise, as well as a production prototype of the new Crisscross. If you stop by DTW's booth, do yourself a favor (and be cordial to Raney) and try out his hand-made infill planes before bombarding him with questions about our stuff (he uses Benchcrafted vises in his furniture shop too) That's Raney in the picture at the top. 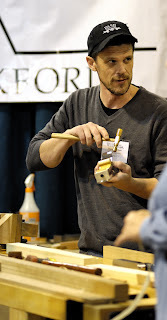 I've also heard through the grapevine (read, Jeff Miller) that Andy Brownell will be bringing his Split Top Roubo (with our vises) to demo in the Gorilla Glue booth. If you glance over at the big Gorilla Glue sign and think "eh, its just glue" you're doing yourself a disservice. Andy always brings a project to the show (and Andy builds NICE furniture) and works on it in real time for the entire weekend. I'm guessing he'll also have his traveling Anarchist's tool chest along as well. I've seen it. It's gorgeous. This is disappointing news although I certainly understand. Thank you for assuring your products will be there for those of us attending to inspect. I have been looking forward to trying out the crisscross as improving on my Glide vice is hard to imagine. But, you guys will be missed.